Who are the best DFS Millionaire Maker picks for the 2016 Open Championship? Find out here. Questions about the 2016 Open Championship? DFS golf? 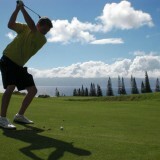 Follow @NickJuskewycz or visit the PGA forum.